30 years. 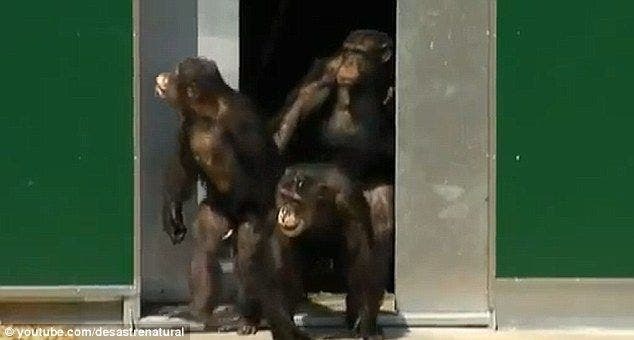 They spent the vast majority of their lives in a lab, and after 30 years, they are released in a sanctuary. Their reactions say it all – this an exuberant, heart warming reaction, their joy and bewilderement can’t be captured in words. Watch the hug they have at 1:25… that just says it all! I don’t really want to discuss animal testing here… the only thing I want to say is that if we declare that humans have a right to freedom and pursue happiness, then we should seriously think about granting the same rights to some animals – because their reactions are nothing less than human.